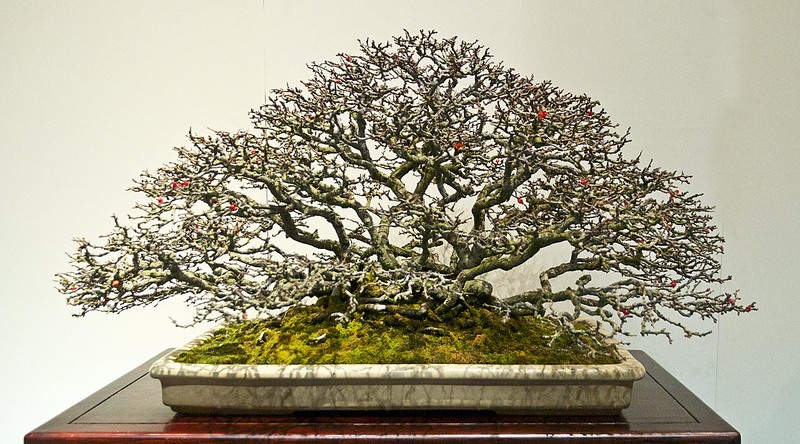 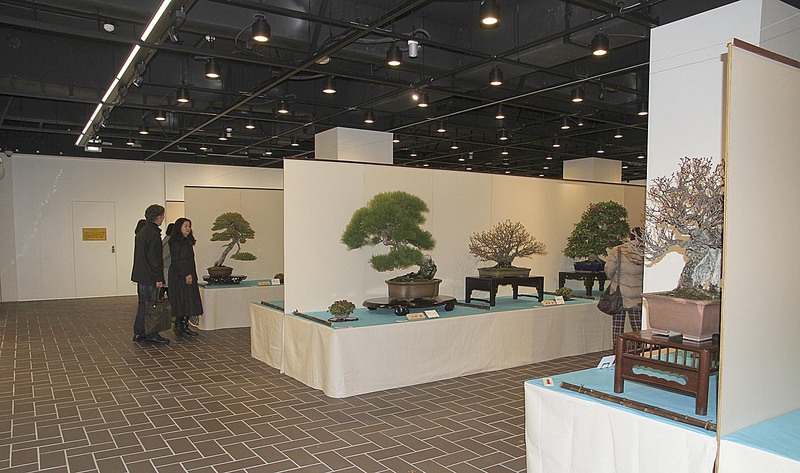 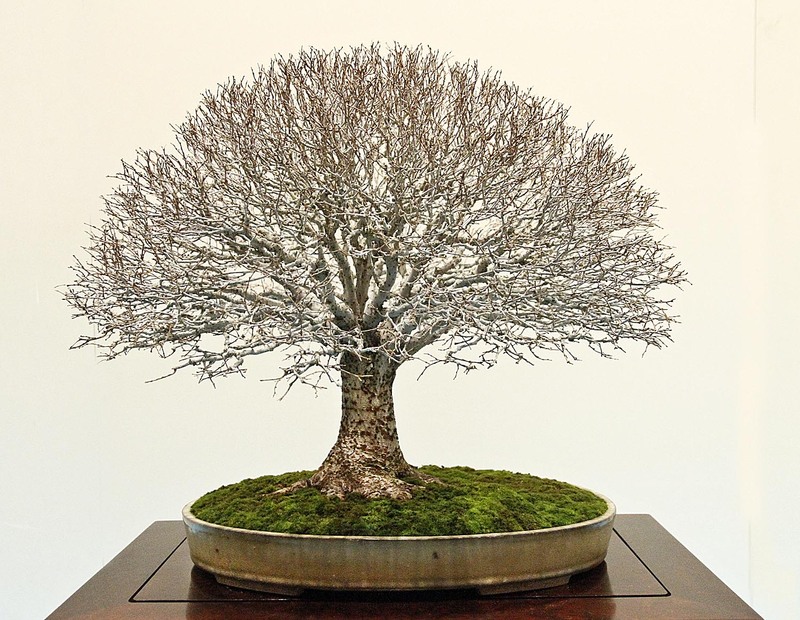 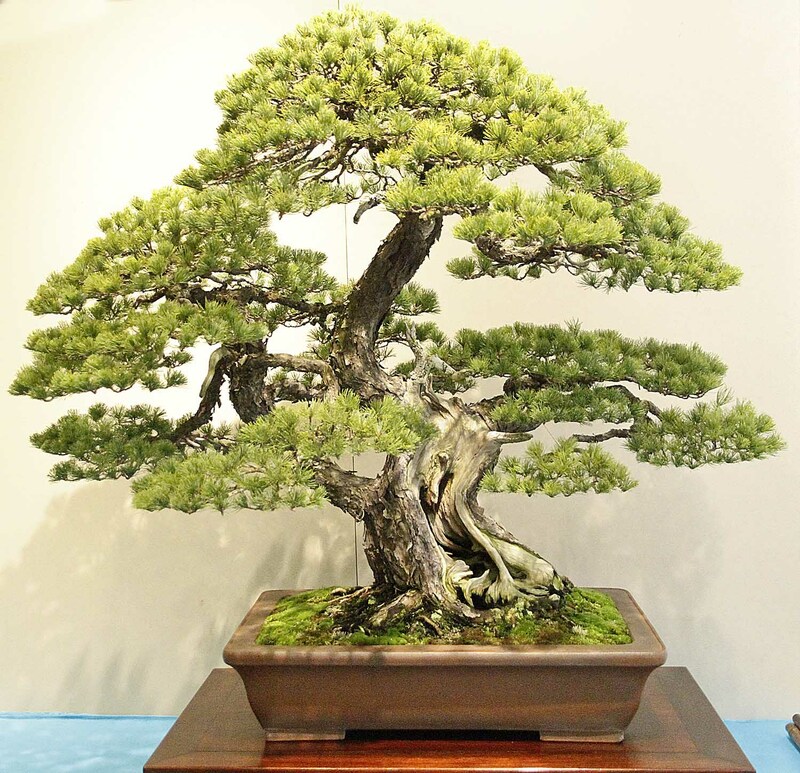 On Sunday, February 9, 2014 Part 2 of the 88th Kokufu Bonsai Exhibition opened in the Tokyo Metropolitan Art Museum in Ueno Park. 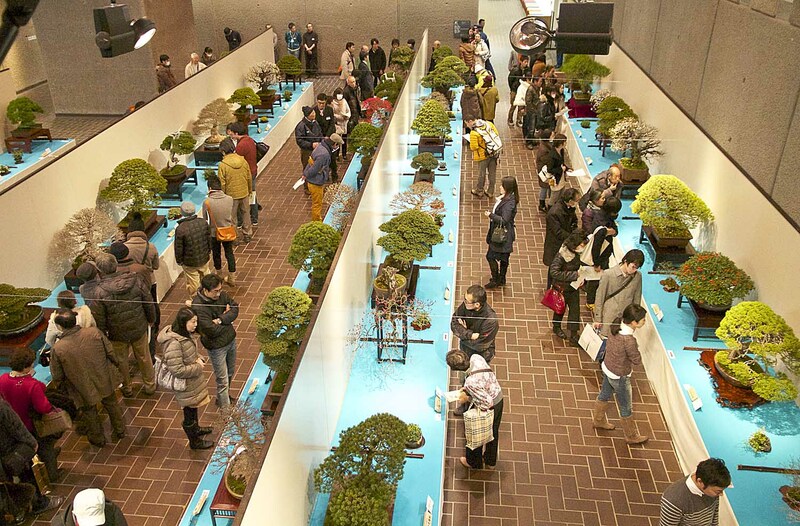 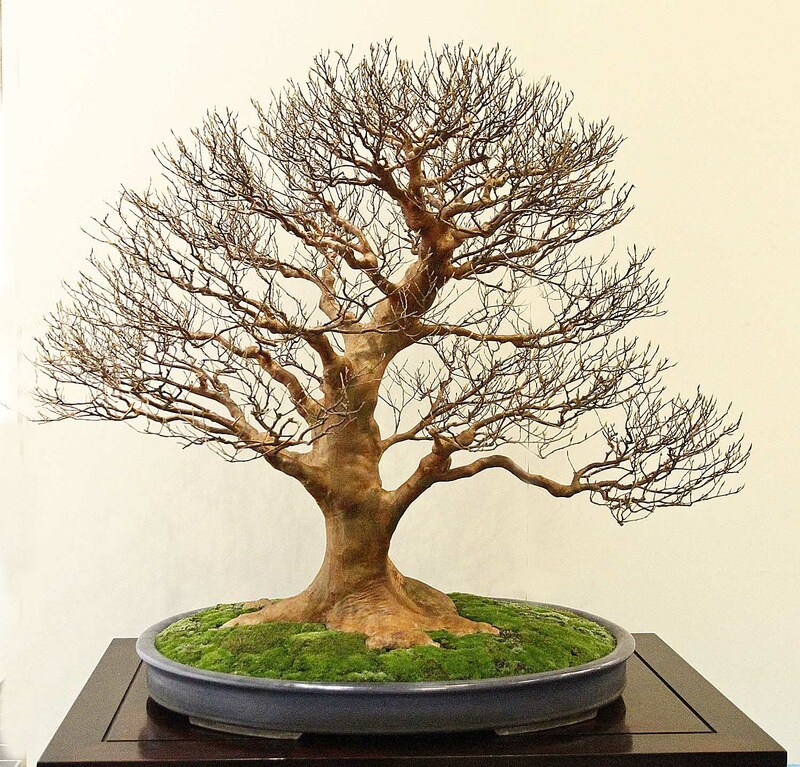 On Saturday all of the nearly 300 bonsai were removed and replaced with new masterpieces. 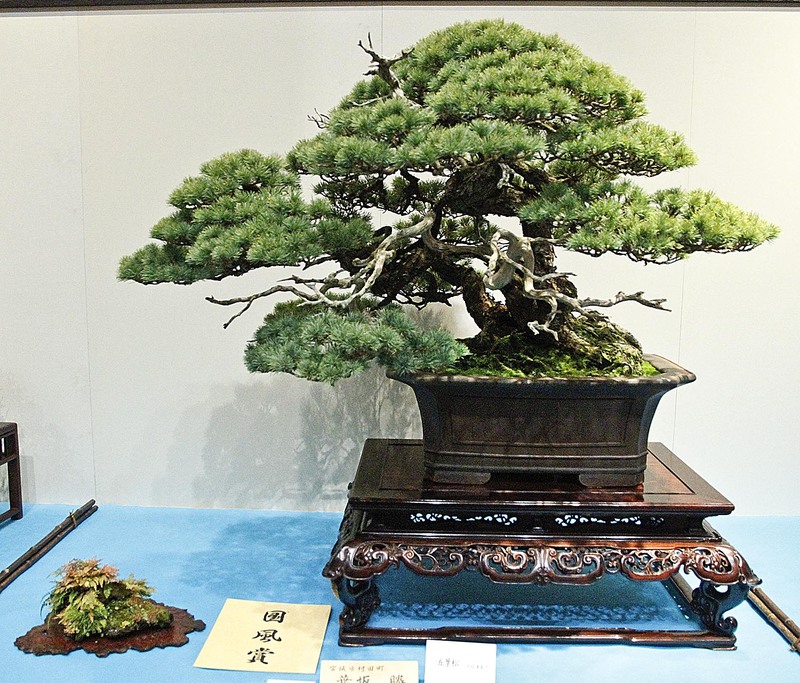 Now, I’ve been at more Kokufu Bonsai Exhibitions than I remember and I’m still amazed at the number of new bonsai which are displayed each year. 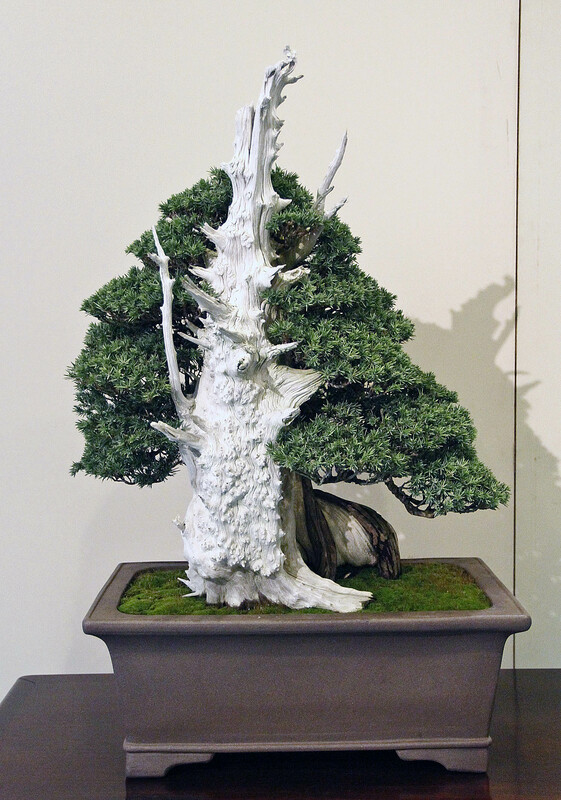 There are a few repeats, but most of the trees are new. 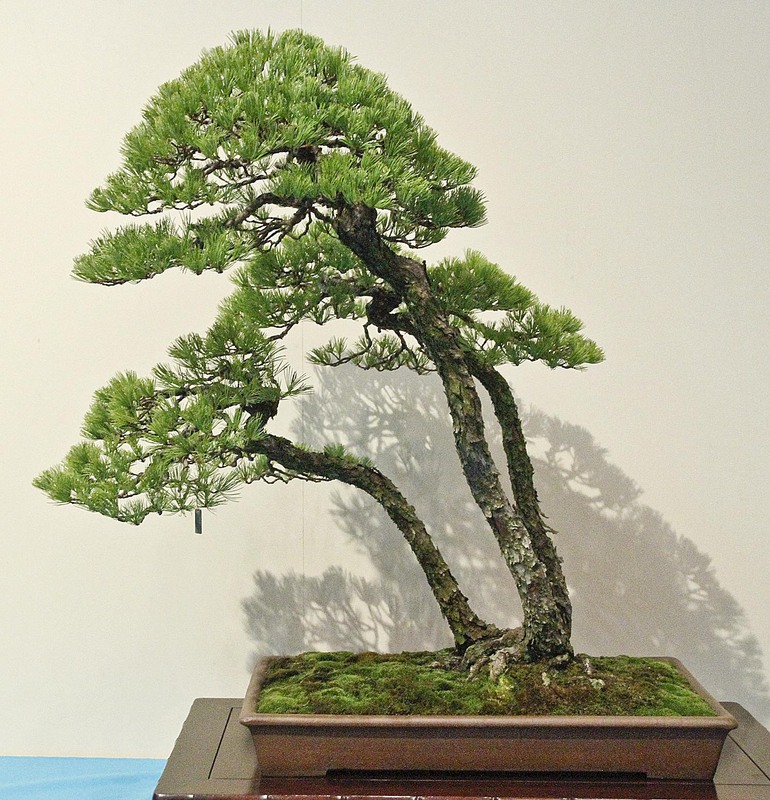 I wonder how many masterpieces are out there in Japan, but remember, new specimens are always being created while old masterpieces pass on. 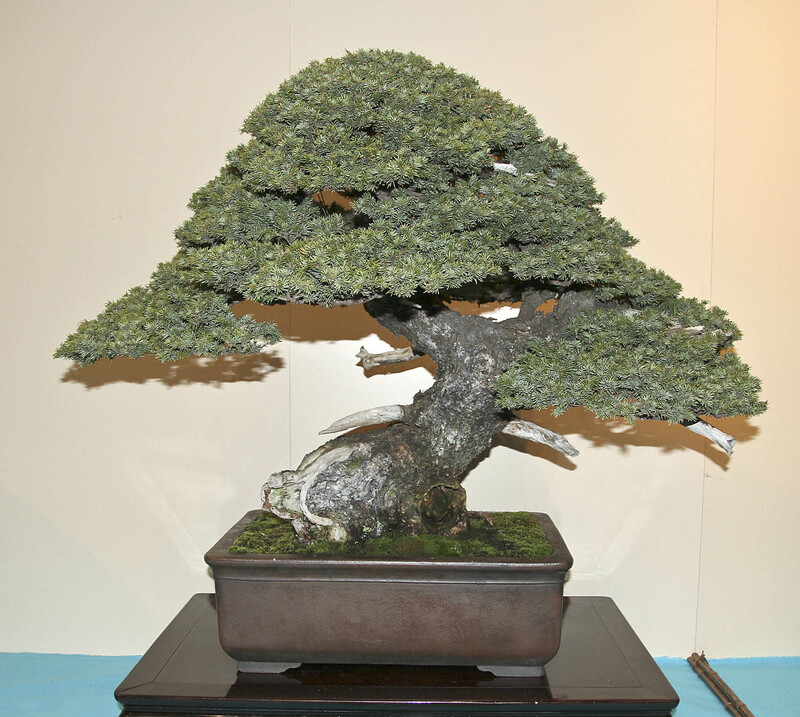 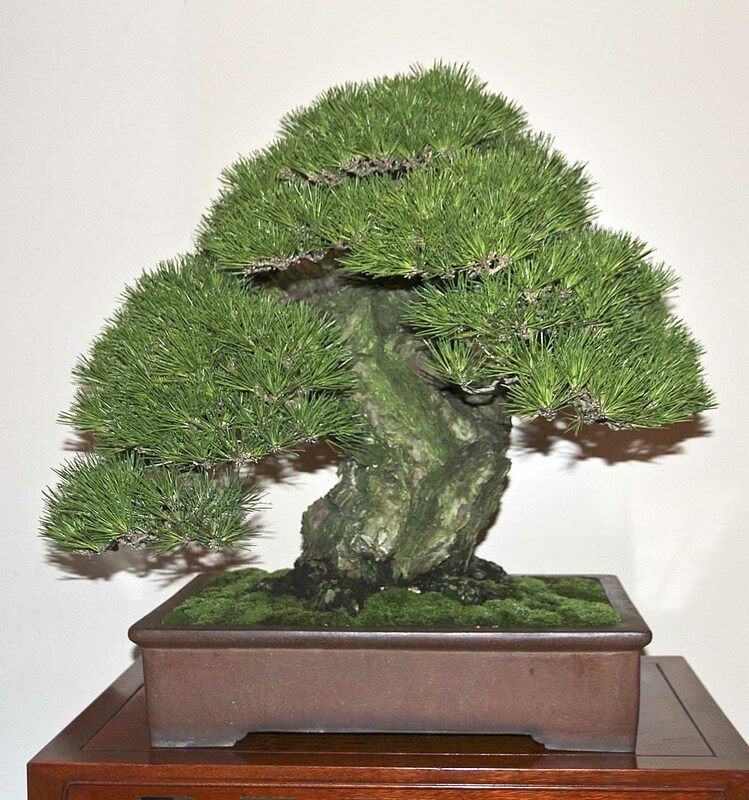 Part 2 also had 170 displays, 26 important bonsai masterpieces and 55 medium size bonsai. 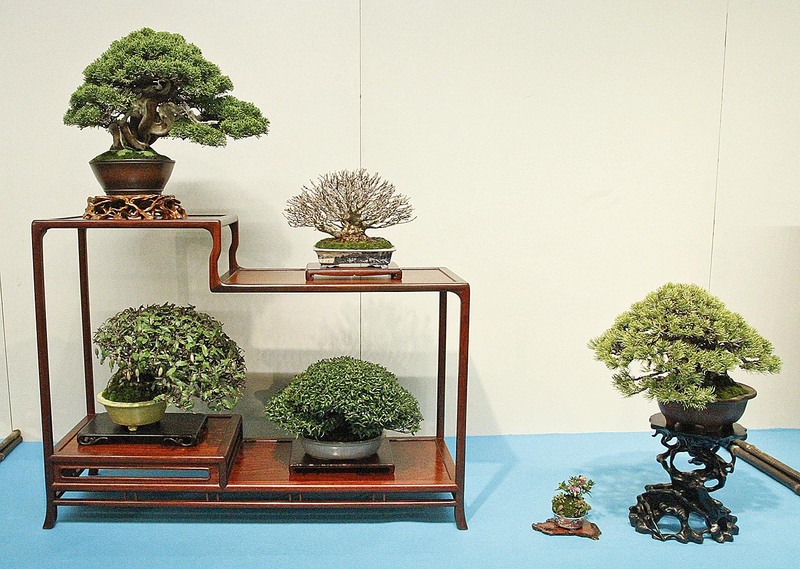 There were again only 5 shohin bonsai compositions. 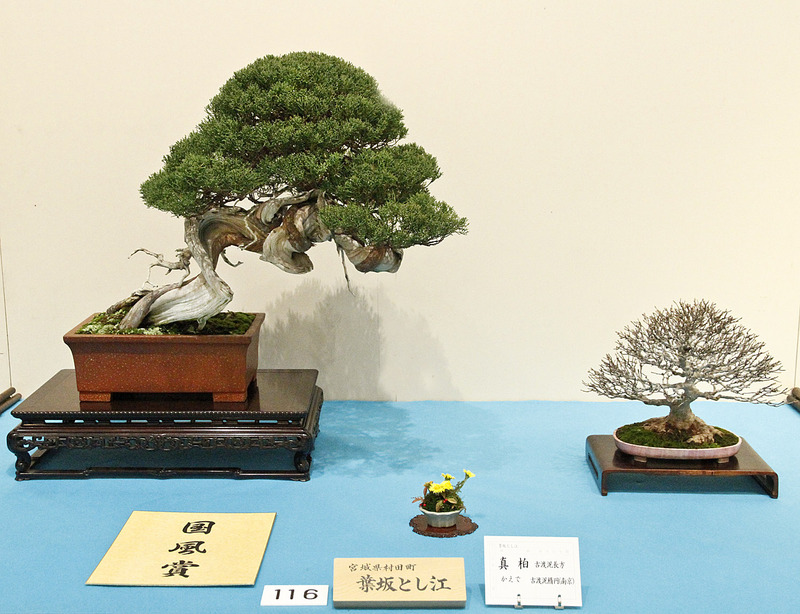 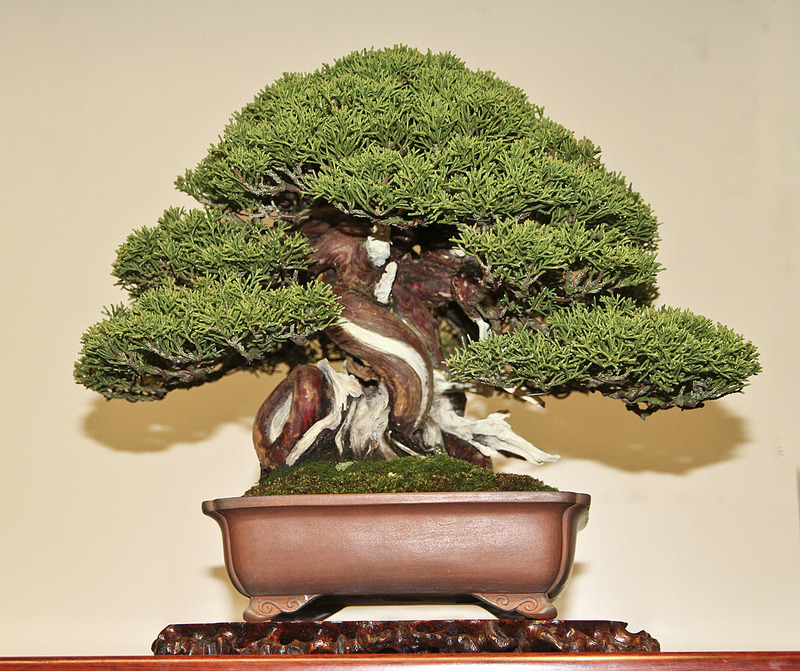 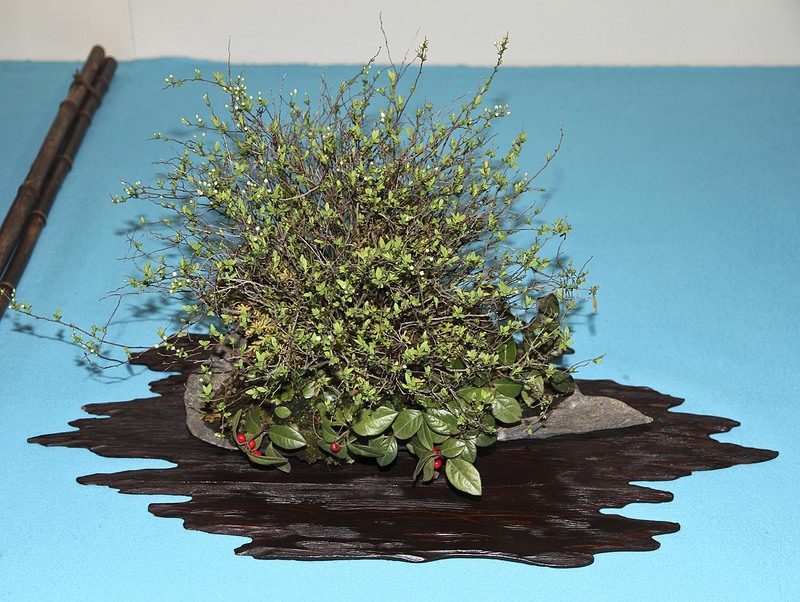 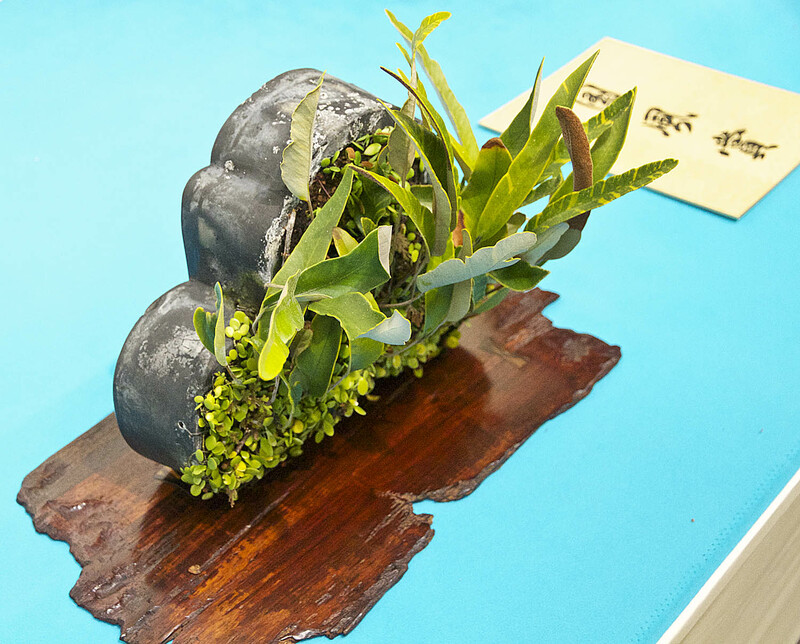 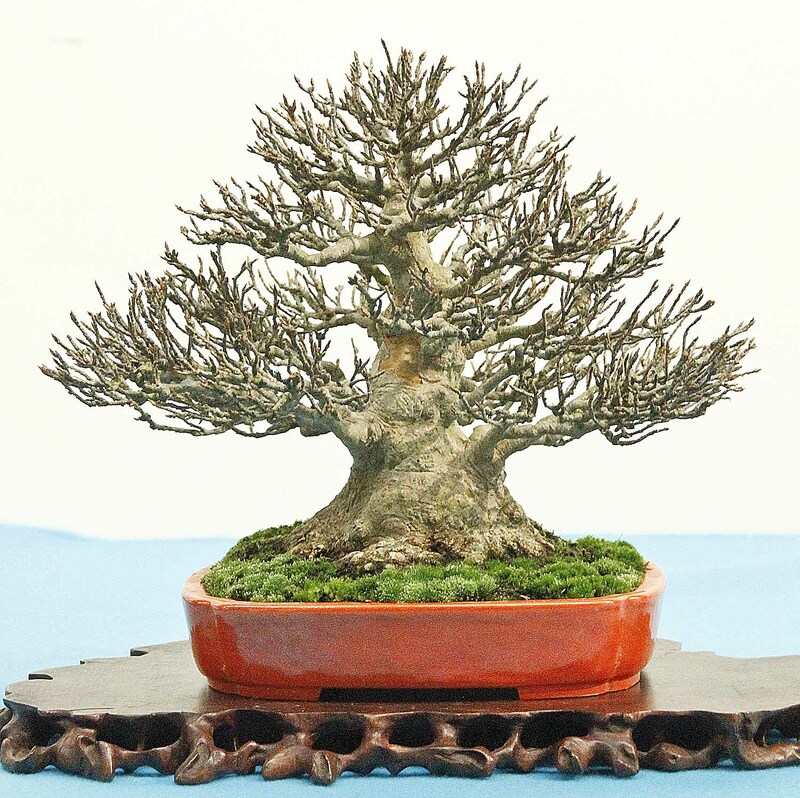 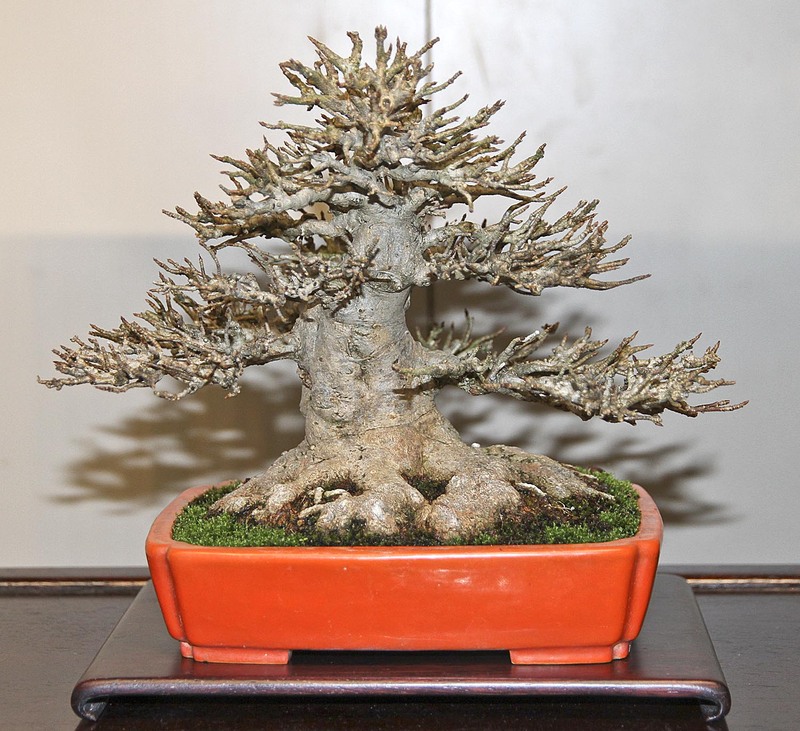 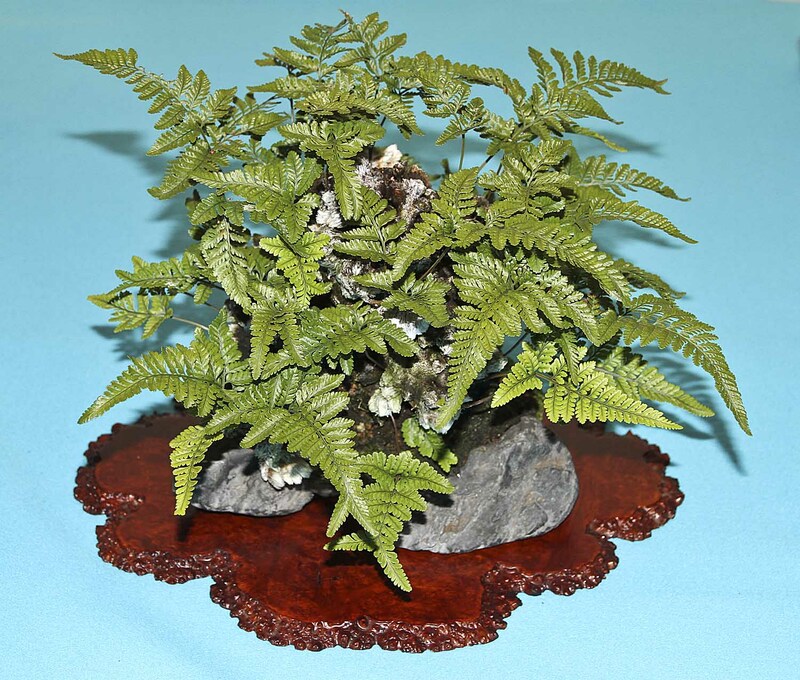 The judges selected 6 Kokufu prize bonsai for Part 2. 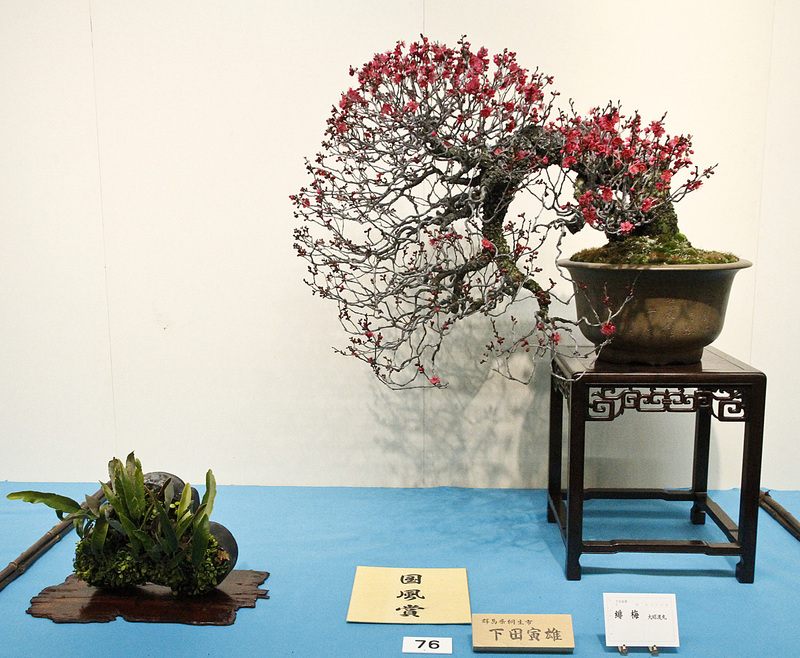 Both parts of the exhibition were superb this year, however, personally speaking, I liked Part 2 best. 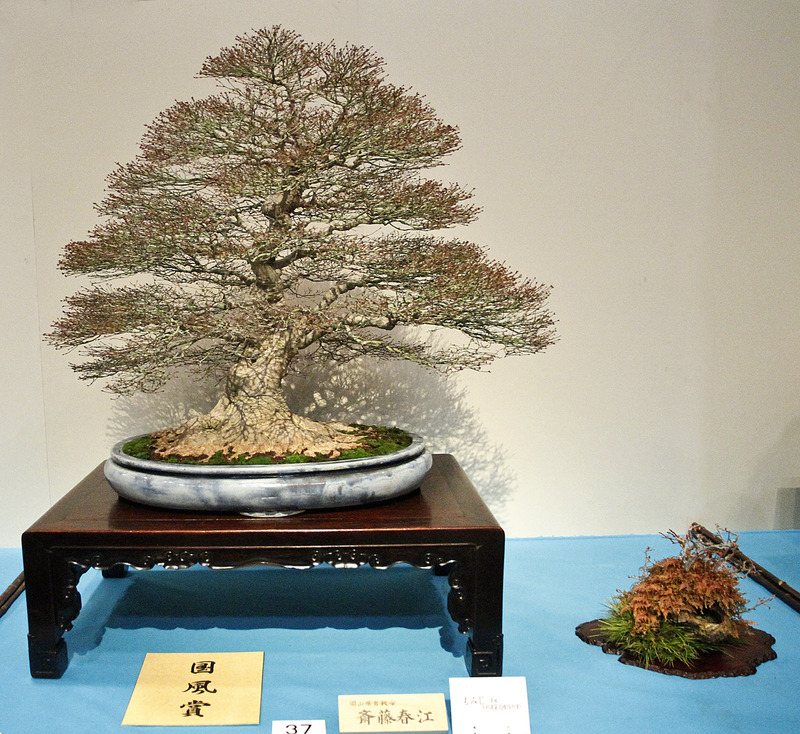 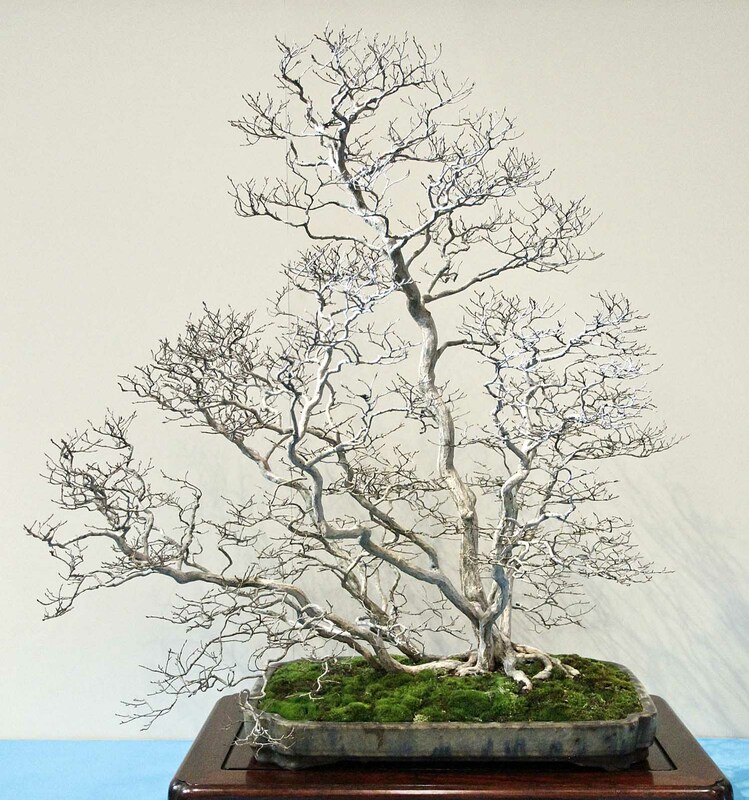 Perhaps because one of the finest masterpiece Kiyo Hime Japanese maple bonsai was on display. 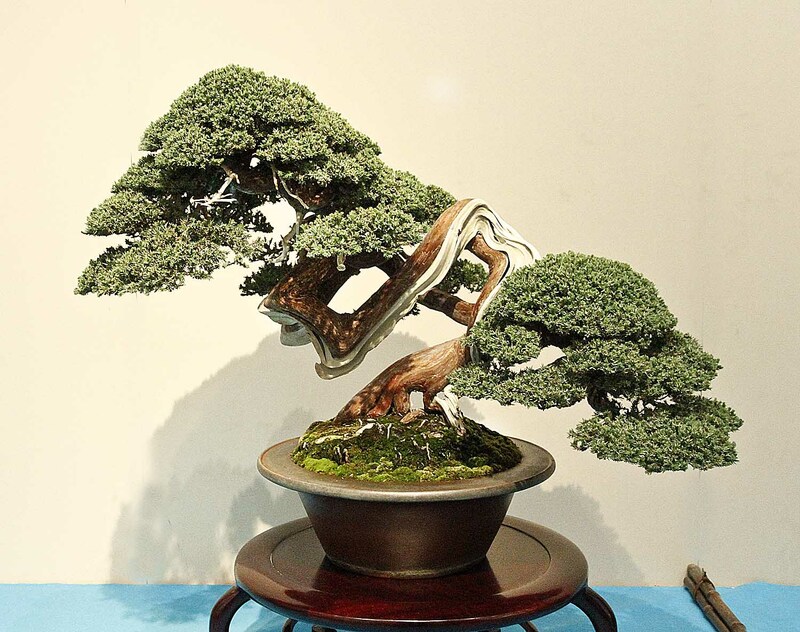 It’s the first time I’ve seen this tree. 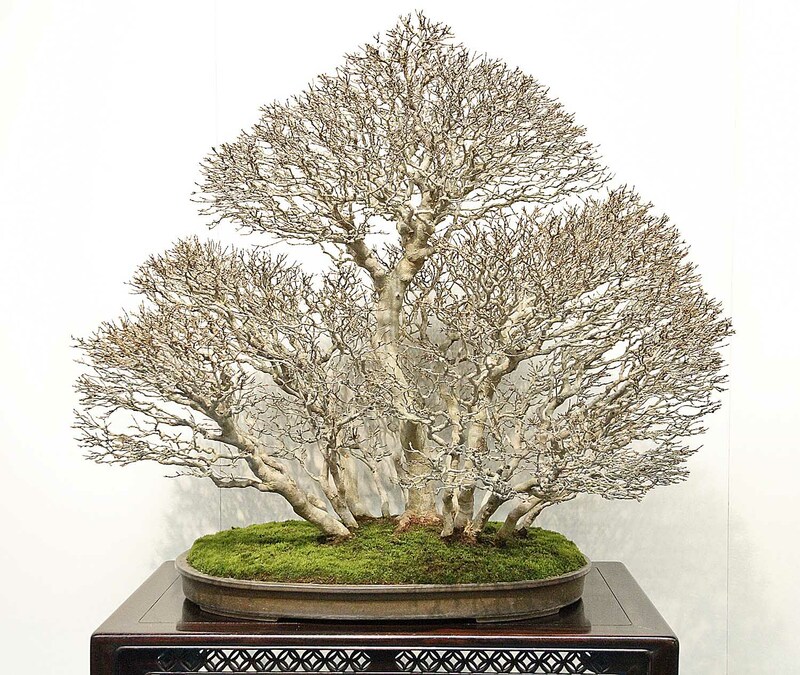 No, actually I saw it at Mansei-en Bonsai Garden in Omiya Bonsai Village on Friday as it was being prepared for the switch out on Saturday. 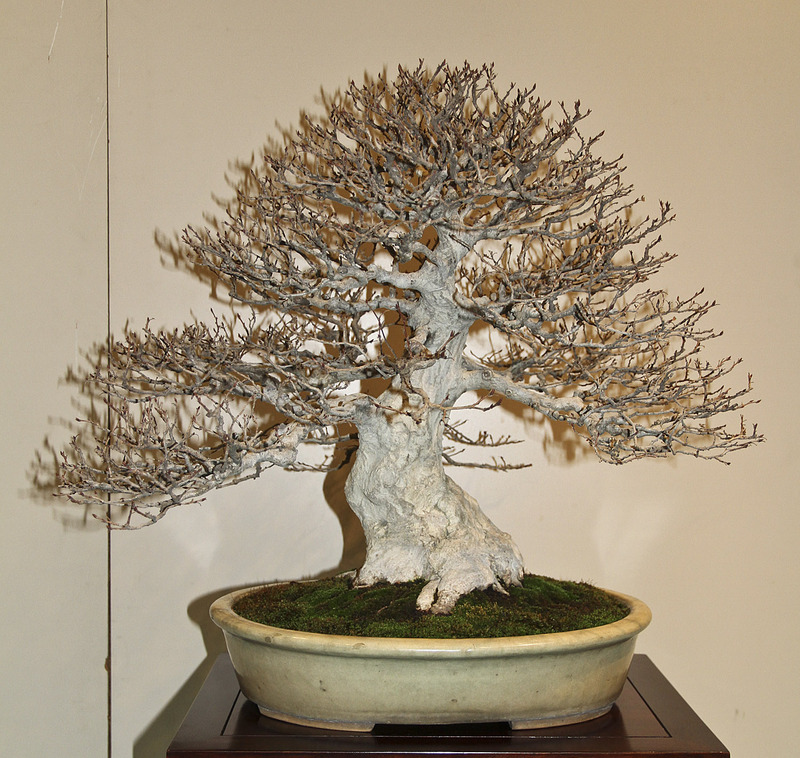 This cultivar is one of my favorites. 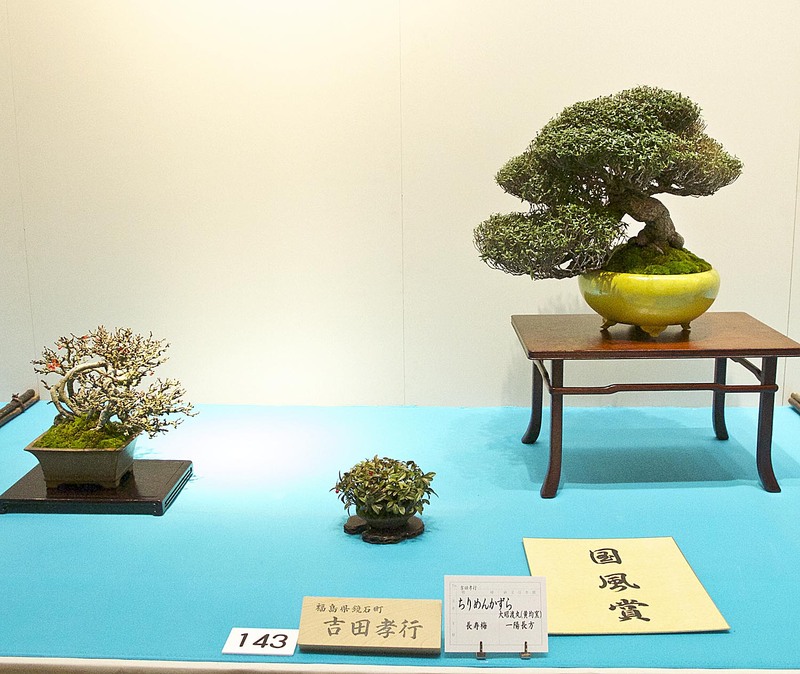 Again there were pink lights against the bright blue table coverings with the addition of dramatic spot lighting which did not make it easy to photograph. 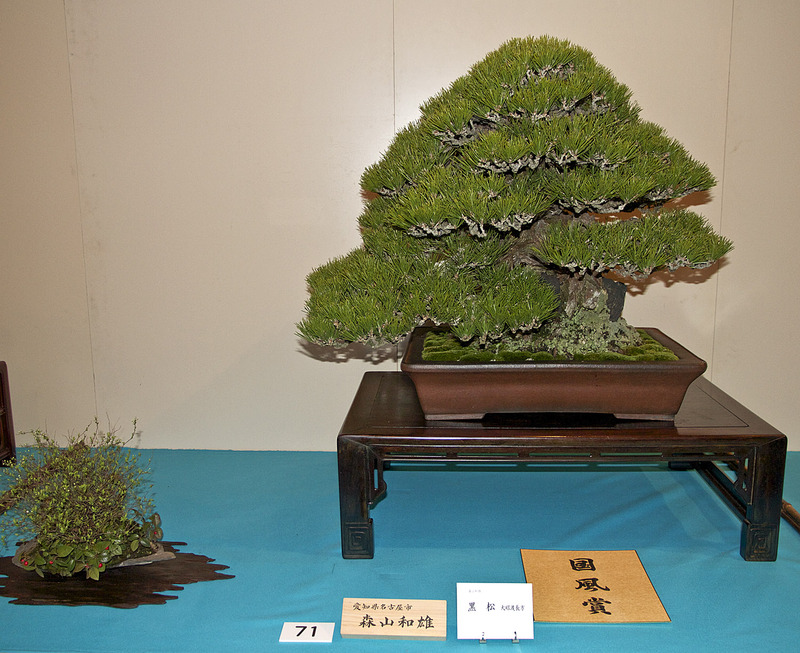 But below are a few of the bonsai which made an impression on me. 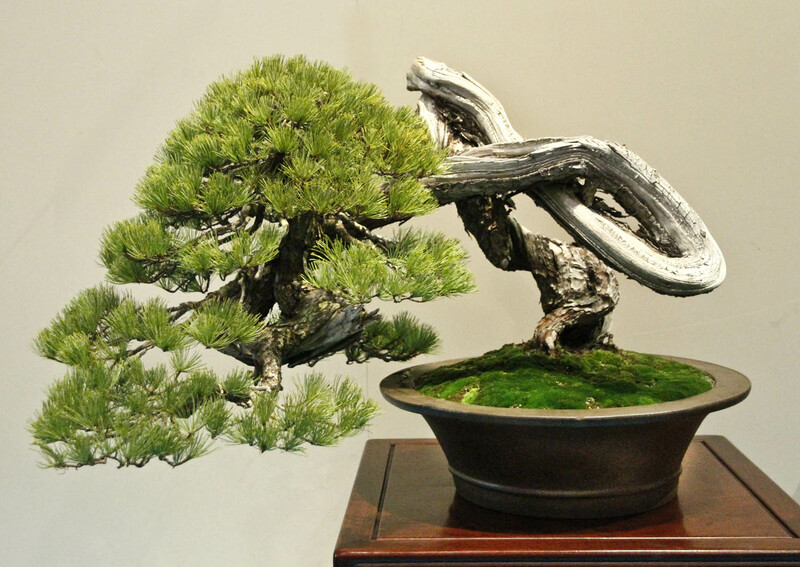 Enjoy their beauty!